A real local or one who lives and breaths downhill skiing will know the different types of downhill skiing terrain. 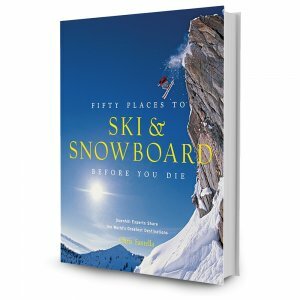 Skiing downhill takes skills, but there are many terms that might sound confusing. I’ve gone through all the types of downhill skiing terrain so you’ll know the right term to use next time you are on the slopes. FREERIDING – Basically when you freely ride outside of the normal groomed and maintained trails. This can be performed on the side of the slope, through the trees or hiking up to a unmaintained bowl. 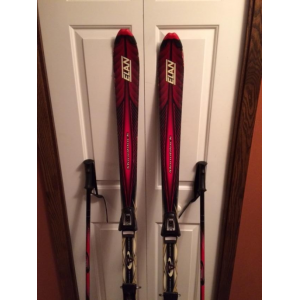 Usually free ride skis are different than normal skis in that they are wider. The purpose of this is to float on top of the power. In the United States we refer to freeriding as backcountry meaning that you venture further away from the maintained slopes. GROMMERS: Ahh a day on the groomers. Grommers are the trails that are maintained at the ski resort by the machines that go over the terrain and make everything thing smooth, soft and easy to glide effortlessly across the slope. OFF-PISTE: Basically means that you are not on the maintained trail any longer and you may encounter terrain that is advanced and unmaintained. This term is used quite often in Europe, but it basically means the same thing. You are not on a managed trail and getting into the side or backcountry terrain. TREE SKIING: Advanced skiers may want to explore the glades maneuvering through and around the trees and other unexpected obstacles. Tree skiing has its benefits because power snow collects in the trees and can stay for days after a snow storm. MOGUL SKIING: Moguls are big mounds of snow that are created by a succession of skiers turning at the same places on a run. The path forms a trough while the rest of the snow piles up to form a mini hill. There are also mogul competitions where bumps are created and the skier must quickly maneuver through these bumps then hit a larger snow ramp, perform a trick, then jump right back into more moguls. PARK SKIING: Skiing has evolved and resorts have caught on with the adaptation of terrain parks that are designed specifically for tricks. These parks include many features like fun boxes, rail slides, big jumps, quarter pipes and halfpipes. The new school skiers also use features in urban setting to practice their tricks. HELI-SKIING: Short for helicopter skiing is the type of terrain in which a helicopter drops you off onto the top of a mountain top and then you must find a safe line down the mountain. If you have ever wanted to go heli-skiing, then what is stopping you? POWDER SKIING: One of the best types of terrain is having the slopes blanketed with powder snow. What makes skiing on powder so different is that it is soft. It feels like a flow on top of clouds. At first it is strange, but the key is to stay on top of the snow. Powder skiing is one of the best feeling in the world because once mastered it is an effortless glide. If you are ready to take the next step and learn how to downhill ski or interested in learning more about the different terrain, you might want to take an Avalanche course or meet with instructors to learn backcountry skiing. Adrenaline Escapes has the dream adventure trip for you or we will create it for you. If you need ski gear, check out the latest gear from Backcountry.com. However it might be time to get out into the backcountry and learn how to ski in powder snow and off-piste. Each of the types of terrain above has a different type of ski that performs better. Powder skis for example are usually wider and designed to float on top, Park skis have twin tips to make it easy to flip from front to back. Mogul skis are usually shorter which make them faster in the bumps. The best is to have an all around ski if you are interested in a variety of downhill ski terrain. If you are in the market for a new ski, check a few of these epic skis! GET READY FOR A BIG SNOW YEAR! BUY YOUR SKI LIFT TICKETS BEFORE YOU ARRIVE! This entry was posted in LEARN HOW and tagged Downhill skiing, types of terrain. Bookmark the permalink.